One of the great things about living in the West Village is the inspiration you find everyday when you walk out your front door. This was clearly apparent this Sunday when I decided to check out some of the storefront Halloween displays in the neighborhood. I even bumped into noted men's fashion blogger (and Kayne West approved!) Richard Haines of What I Saw Today. Richard created the lovely profile picture I use on this site from a J. Crew event earlier this Summer. I really admire people who put a lot of time and effort into their creative work - and in this residential display it shows. The funniest thing is that this townhouse basically straddles the Ralph Lauren and Marc Jacobs stores that ordinarily have quite elaborate Halloween displays. I liked the "DIY" ethic displayed by the townhouse owners in the midst of two commercial giants. A closeup of the residential display. It's tough to see because of the shadows, but you can make out how the townhouse is between the Marc Jacobs store on the left and the Ralph Lauren store on the right. Skulls. Lots and lots of skulls at Marc Jacobs. Ralph Lauren went with the creepy mannequin with lots of blush and haute couture aesthetic. I liked it! A look at the RL storefront. I liked how their display still fit in with the overall image of the store rather than some over-the-top Halloween decoration. As I mentioned I bumped into Richard Haines of What I Saw Today and had a chance to chat. Richard was perfectly dressed in a blue check shirt, repp tie and slim peacoat. Nice seeing you Richard! Not everyone went over the top with their Halloween displays. Sometimes a simple pumpkin will do. I liked the rich contrast of colors here. Tom Browne / Brooks Brothers Black Fleece went for the Eyes Wide Shut look. Not Halloween related, but a great police dog outside the Greenwich Village precinct. You know - for the the kids. Got a surprise in the email box today from UrbanDaddy, promoting Ms. Sevigny's update of the Bass line for Opening Ceremony. Normally I prefer the classics, rather than someone's wry take on them, but for whatever reason Chloë Sevigny's twist on the legendary (and Preppy Handbook approved) Bass Weejun caught my attention. While some designers go off the farm and others barely make an dent in the original form, this collaboration retains enough of the the original classic while addding thoughtful innovation to make the whole venture worthwhile. Her contrasting panel Weejuns recall the spectator shoe - a classic item enjoying quite a resurgence recently. 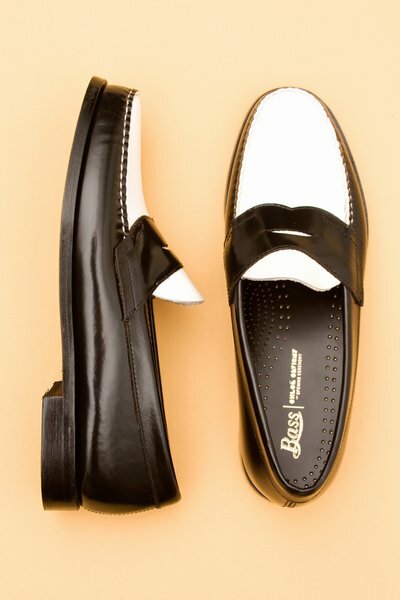 These are the white contrast Weejuns. Definitely a bold statement - but if one can wear go-to-hell pants, why not go-to-hell Weejuns? If the above are a little much, then the Burgundy contrast Weejun may be more your speed. As seen in the following images, the contrast is subtler. At $170, these are pricier than the regular Weejuns which normally go for about $100 - but inexpensive enough to pick up without seriously breaking the bank. Personally, I'm a fan of both. Fascinating correspondence. "Please write back saying how much money you would like." 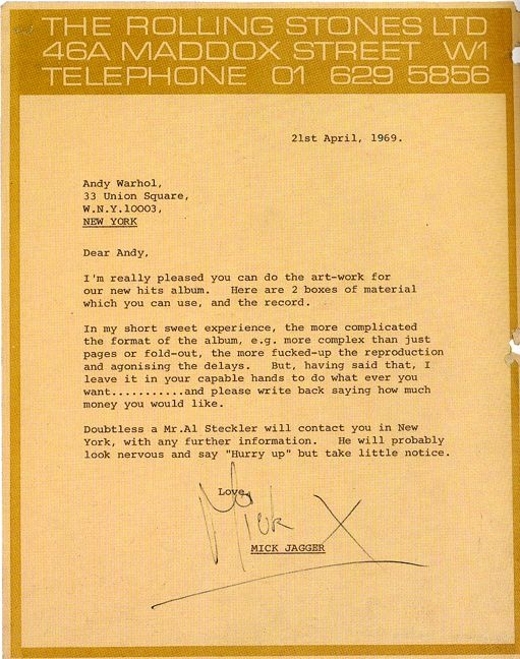 I'm guessing the letter refers to the Sticky Fingers album, although that was not released until 1971. I guess Andy really took Mick's advice to heart? Then again, he mentions a 'hits' album - so I'm still not sure. I thought Andy only did the artwork for one Stones album. 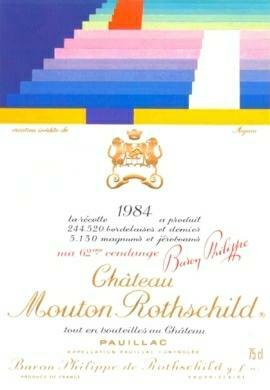 As one of the five First Growths of the Bordeaux 1855 classification of the Medoc district, Chateau Mouton-Rothschild can pretty much stand on its own. 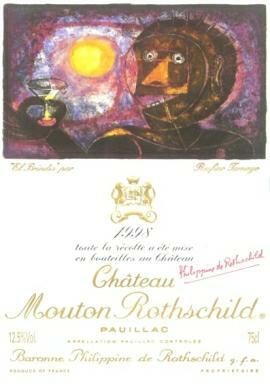 Even with this unique distinction, Mouton-Rothschild has commissioned an artist every year since 1946 to design the label for their bottle – elevating the Chateau even higher in my mind. Considering that I don’t have many (read: any) bottles of the stuff in my studio apartment, I’ve never had a chance to check out the labels all at once. 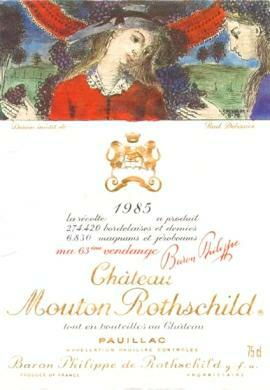 So I tracked down a collection of each year’s labels, and some of my favorites are below. 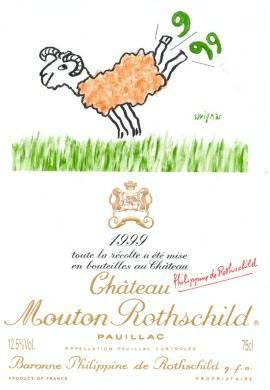 Thomas Jefferson and Richard Nixon were supposedly fans of Chateau Margaux, but I like Mouton-Rothschild based on their artist program. 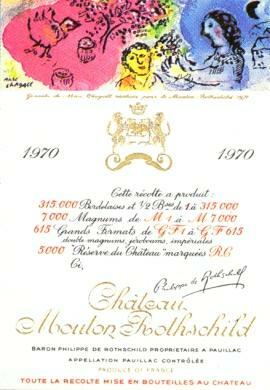 Word is that for their efforts, artists receive five cases of that particular vintage as well as a selection of five additional cases selected from the Cheateau’s cellar. Sign me up for that deal. 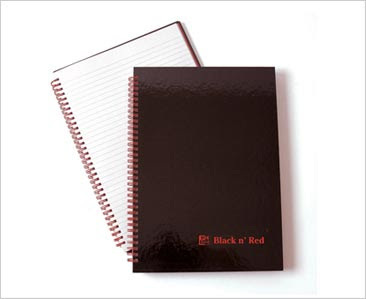 My post on Black n’ Reds got me hooked on unique notebooks. While Moleskin has its fans, the ubiquity of the notebooks among the café-set turns me off from their products. Here are a number of alternatives - all of them have character. Click on the images to go to the direct page. Use them to write something great. 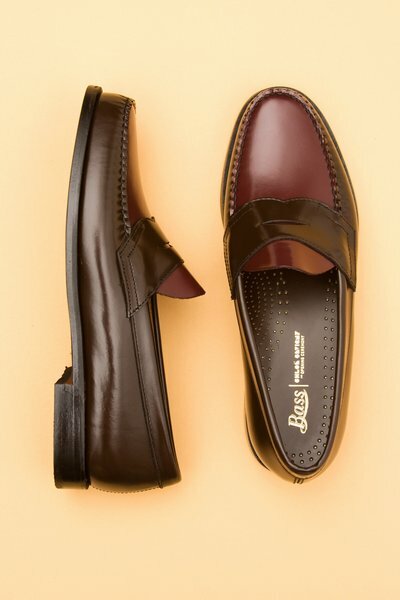 From Jack Spade. I've used this as my notebook since 2006. Great price too. 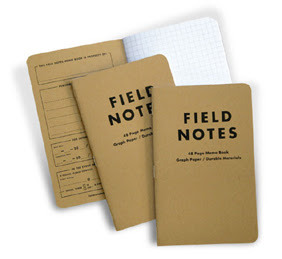 These Field Notes notebooks look like something from a Wes Anderson movie. I mean that as the highest compliment. From AMH Designs. You can make your own needlepoint or have them do it. My interest in Etsy.com is well documented. Above all, in terms of clothing and accessories, I look for unique items (clothing or otherwise) and Etsy is overstuffed with them. In late Summer I stumbled upon a bag maker that offered handmade bags in the vein of Billykirk and Jack Spade. I figured I would save the link, and then write up the find on DP at some point.The shop was called Porter Street Bags. But Paul over at Components of Enthusiasm beat me to the punch (and frankly, did a far better job than I would have with the feature) and did a great interview with the designer behind Porter Street Bags. I thought to myself, ‘maybe I should buy one of these bags before the word leaks out’, but even by this point, all six or so of the original bags were sold out. I was pretty disappointed. So imagine my surprise in the middle of September when my girlfriend presented me with one of the original Porter Street bags (the “Slim Briefcase”) for my birthday! I was floored – it was an amazing present and probably one of the best things I’ve ever received. I’ve spent a lot of time with the bag now, bringing it to work or the café, and really like how it looks. A lot of people go for the minimalist look, but often times that strips the personality away in an effort to keep things clean and sleek. Even though the Porter Street bags are simple in terms of the design and the colors, the personality shines through in the hand stitching and other personal details. So here are a couple photos of my bag. Here’s hoping Dan at Porter Street cranks up the production soon – I think we’re all expecting big things from him. The thing I like about clothing – and not the only thing mind you – is its ability to tell a story through the ordinary process of wear and tear. As Mark Doty said in a poem once, mortality’s evidence is found best in a pair of discarded jeans. So naturally I’m a fan of selvedge denim, the raw denim that gradually contours to your body and wears over time. Unlike most selvedge fanatics though, I don’t care much about how old the Japanese looms are, how many miles the makers trekked to find the perfect thread, or how many virgins it took to sew the back pockets on by hand. Whatever. That stuff, to me, is all marketing. I just like my denim dark, raw and stiff. I’m also really picky about getting a new pair, and basically drive my jeans into the ground. So when my Kicking Mule Workshop 1980’s jeans (available at Odin) started getting holes in the patches that were sewed on to fix previous holes, well, I knew I needed a new pair. The price of Kicking Mule Workshop has gone up significantly ($350 what?) so I picked up a pair of the standby APC New Standards that are more reasonably priced. I thought it would be interesting to see the two side by side before I break in the APCs. Note that the KMW jeans were once as dark as the new APCs. Pretty cool to see the distressing that is uniquely yours. 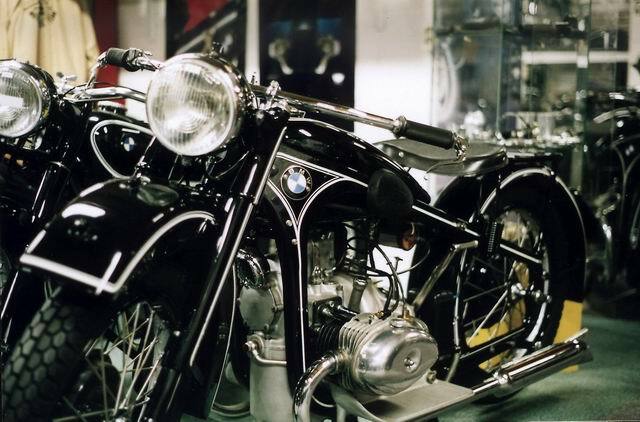 Willy Neutkens really loved BMW motorcycles. 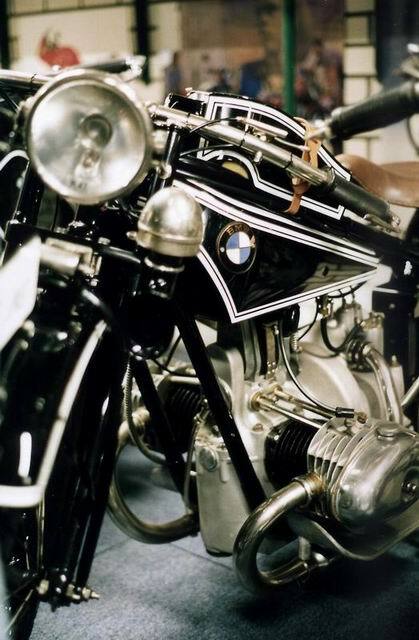 So much so, that he basically collected almost every single model BMW made since 1923. 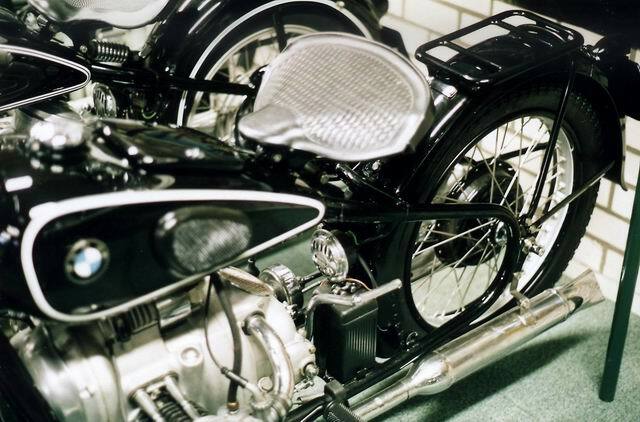 Unfortunately he passed away last year, and Bonhams is handling the dispersal sale of his collection. 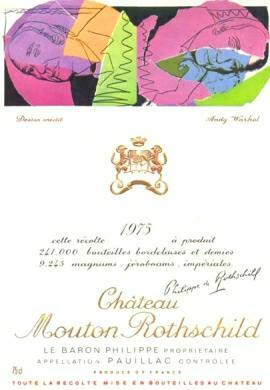 I heard about the Bonhams sale through the FT Weekend edition and it seemed like something worth researching. I tracked down some images, and man, it's a beautiful collection. 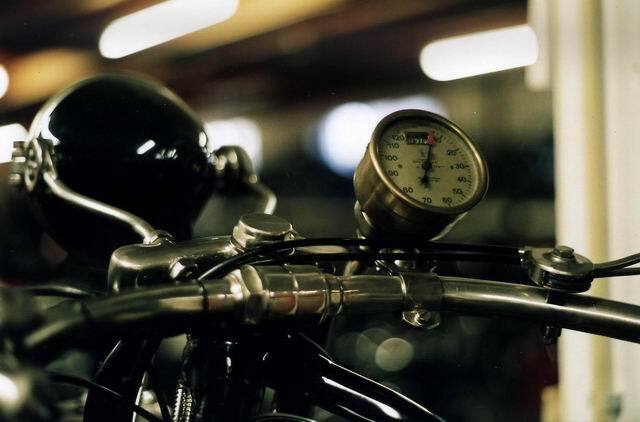 I once had a thing for vintage Triumphs until a motorcycle aficionado steered me away because of the high maintenance. He said BMWs were a far better bet. 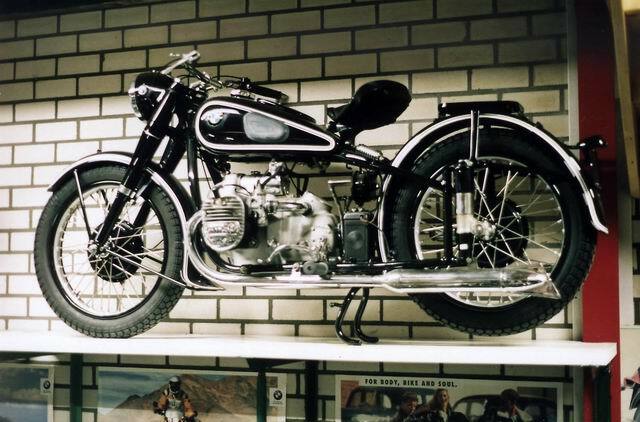 Since then I've gone back and forth between Triumph and BMW, but these pictures now put me firmly in the BMW camp. 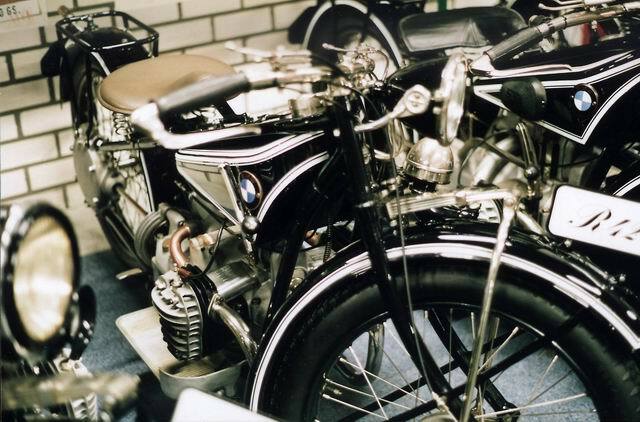 The source of these pics is http://users.telenet.be/tups/neutkens.htm. 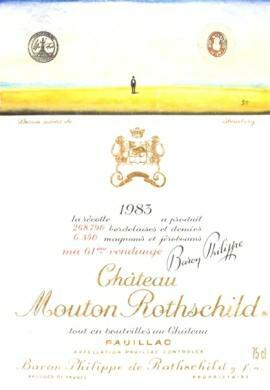 FYI, the Bonhams sale is set for the end of November. Today I was walking through SoHo and came across Morrison Hotel, which is a gallery that sells overpriced photos of classic rock figures to bourgeois-bohemians with nothing better to spend their money on (in other words, me in 15 years). In this gallery were some terrific shots of Keith and Mick and the Stones, along with prints of Janis Joplin and Hendrix. 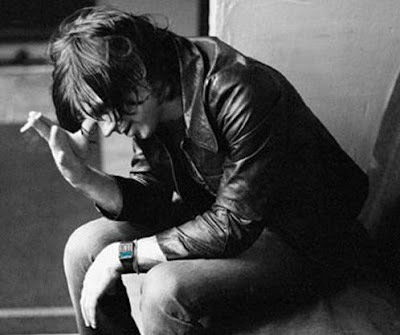 Interestingly, there was a picture of a disheveled Ryan Adams, head resting against his palm, conveying to the audience the incredible weight of being so amazingly talented, which therefore manifests itself in physical pain (specifically migraines, apparently). Ryan cuts a pretty large swath, because even in the context of such rock heavyweights at the Morrison Hotel gallery, he held his own completely and naturally. So I started thinking more about Ryan, and more specifically how he can be inducted into this pantheon so quickly, and paradoxically why rock critics and the intelligentsia are so hard on the guy. Ultimately I think that if it were up to rock critics/fanboys to create their rock ‘n roll star of today, the end result would look a lot like Ryan. He has the right sound, a great sense of rock history (collaboration with Emmylou Harris connects him to Gram Parsons, however unintentionally), and antics and a personality off the stage that surrounds him almost as much as the music (substance abuse, dating Parker Posey, among others). Considering he mastered these tools so quickly and innately, it’s appropriate he’s placed on the same level as certain rock giants. As an erudite student of rock himself, I suppose Ryan is completely aware of rock journalists’ tendency to project their hopes onto someone with promising talent, which explains the joy he seems to find in messing with people via his website and blogs. If people want him to be the enfant terrible of rock music, then by God he’s gonna give what the people want. If Ryan wants to go shopping at Barney's, man, he's gonna shop at Barney's! So if “Ryan Adams” is a composite of both an incredibly talented musician and the vessel into which we put our hopes and dreams, etc, it’s a lot easier to see how the criticism against him has developed. It’s as if we’ve forgotten that Ryan isn’t an archetype but rather a fallible human being – and therefore anytime he produces a piece of art that deviates from the expectations set by our blueprint he’ll be severely punished (witness Rock ‘N Roll – his third album.). It’s as if we treat Ryan like a child, because we’ve become invested like parents in his development. Criticism is lobbied on him like mortar fire because we’re mad he doesn’t live up to our unrealistic expectations, and also because we secretly hope this corrective measure will be the one that breaks his fragile genius and ultimately provokes him to channel something more beautiful then ever imagined (for our benefit, of course). In that way, we become active participants in the rock ‘n roll drama, directing the tide of music we were never meant to play ourselves. And however unfair it may seem, we just can’t let Ryan go because of that. And Ryan, if you read ever read this: It’s cool, I like Barney’s too. Completely not subjective, or anything. Despite this, "Dr. Goodword" is up to the task, apparently, and shares his list of the 100 Most Beautiful Words in English. Overall, a pretty good attempt. As a check, it includes some of my favorite words, including Ephemeral, Epiphany, Halcyon, Panacea, and Serendipity. Yet it lacks one of my absolute favorite words: Unfurl. A troubling omission! Also, is Beauty not beautiful enough a word to make the list? So, did Dr. Goodword leave out any other words that deserve to be on this list? Let me know in the comments. I used to think the ultimate style killer was wearing a backpack with your suit. It doesn’t make any sense (do you carry textbooks to work?) and simply clashes with the entire outfit. I mean, it practically telegraphs that your Mom also packs a lunch before you walk out the door to go to work with the big boys in the city. 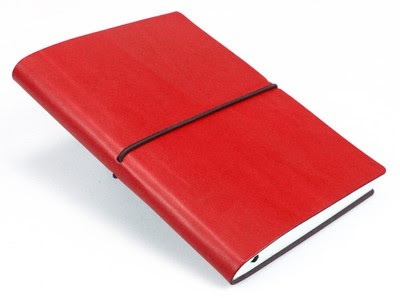 But now I think the standard office supply notebook, the kind most people dutifully carry to meetings, is even worse. I never noticed this until I started interacting with a number of my work colleagues from London. On a number of many style matters, those colleagues simply out-class their American counterparts (myself included). 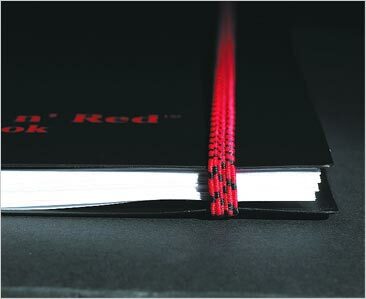 Yet it doesn’t just come down to matters of dress or those great accents – even their notepads are stylish! They use Black n' Reds! Like dressing up for the theatre, they treat the customs of the standard office meeting with the respect it deserves by bringing a decent looking notebook to the table! Meanwhile, most of us show up to a meeting with the same kind of notebook we used in high school to jot down notes about The Catcher in the Rye. A couple of months ago I looked around the table at meeting with some London folks and had a coming-to-Jesus moment. Like Paul on the road to Demascus, I suddenly saw the error of my ways. A cheap cover, cheap paper – I could do a lot better. Now I work in my Black n' Reds with a sense of pride, after procuring a number to last me a good couple of years from a helpful London colleague. The quality of the paper is much better, and they hold up their slick appearance even after months of constant use. It’s simply a classic, through and through. After all, most of us put a little bit of effort into our appearance before we head to work each morning. 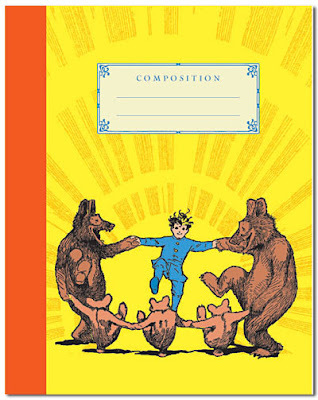 Why should the selection of our notebooks be any different? A few days ago I came to the startling realization that a number of my favorite clothing items in my wardrobe I outright stole from my father. As in, I raided his closet (or the attic) and laid claim to the assets - with or without his knowledge. He has kindly acquiesced to my brutal takeovers, I imagine both flattered by my interest and glad to see the items get some additional use. Beyond the personal history attached to it, a lot of these items just are not available anymore, which adds to their allure. Here is a sampling. I pulled this a few months back while digging for treasure items in my family's attic. It comes from an old clothing store in our hometown of Summit, NJ called Roots Clothiers. Back in the day the store contained items from Hickey Freeman & Alden, among others, and I imagine it was a lot like O'Connell's in Buffalo, New York. Unfortunately Roots closed up shop in the late 1980's or early 90's and there is very little record of its history on the web. While the store is gone (and something tells me I really would have loved it as an adult) I have this smart shirt that lives on in my closet. The shirt itself is as soft as silk from decades of washing and features a trim (but not too trim) fit on my frame. It's the perfect weekend shirt for a guy. I pulled this one from the same treasure hunting trip as the shirt above. Immediately I knew I hit paydirt when I saw a crimson & white contrast bag. The fact that it comes from his time at HBS makes it even cooler. I feel like if I had to create a 1980's Master of the Universe starter kit it would include this bag, Oliver Stone's Wall Street (on VHS, natch), Tom Wolfe's Bonfire of the Vanities, and a HP 12C calculator for figuring out the interest payments on the debt you issued to take RJR Nabisco Private with your buddies at KKR. Now, this is a pretty common belt (you can get a similar one at O'Connell's), but I like the natural distressing of the leather on this one that's occurred over a good two decades. It also comes from Roots Clothiers. From my understanding there is a bit of a "Roots cult" near my hometown, according to Bob at John Hyatt, so I'm quite pleased to own at least two items from the store. I have no idea where this one comes from, but I swiped the dopp kit when I was a freshman at Bowdoin. I took the matching tie carrier (holds three comfortably) the next year. No labels or anything, but the pattern is terrific.